Fishing is one of the best outdoor activities you can experience when visiting new places or your own backyard. Scouting New Fishing Water is always a must all year long. 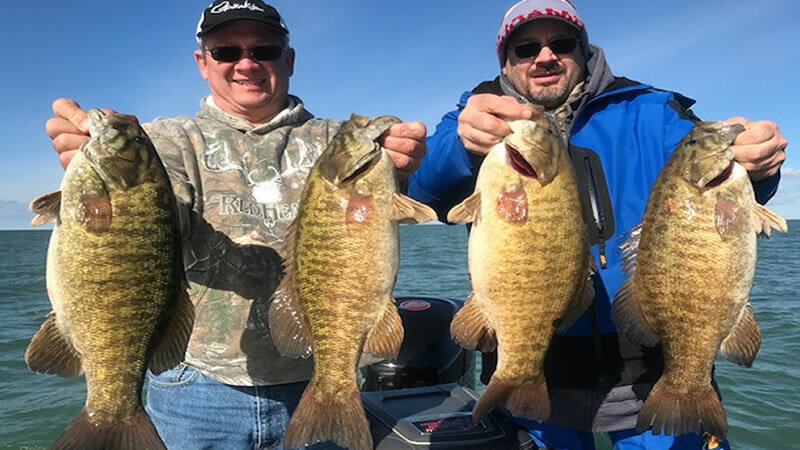 I had the pleasure to go out on Lake Erie with a good friend Jeff Barkley to explore new waters. 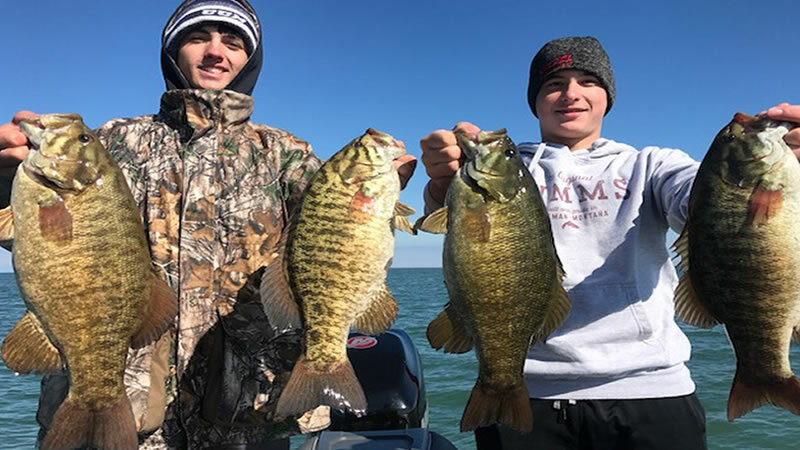 The smallmouth bass are turning on this fall. 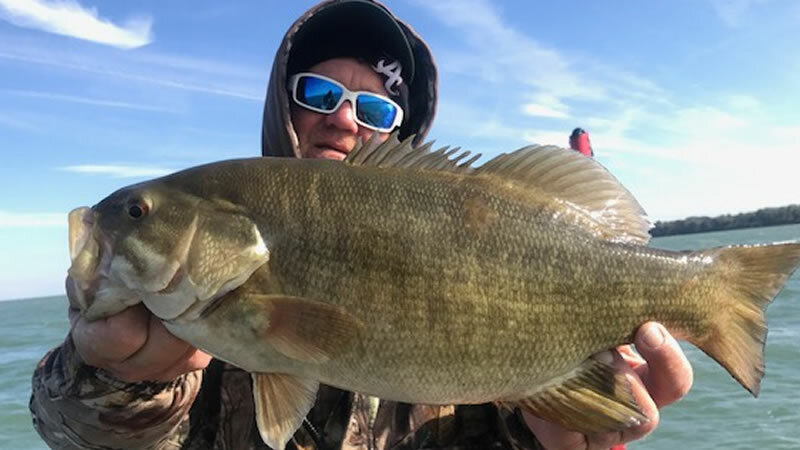 Bass Fishing Lake Erie has been incredible this season and the bass are moving into 5 to 8 foot of water again as the temperature begins to drop again. If the temperature continues to drop, they will continue to move up and aggressively feed again just like spring time. A variety of presentations worked to put them in the boat. Jerk baits and Spinner baits were the most effective this time of year. 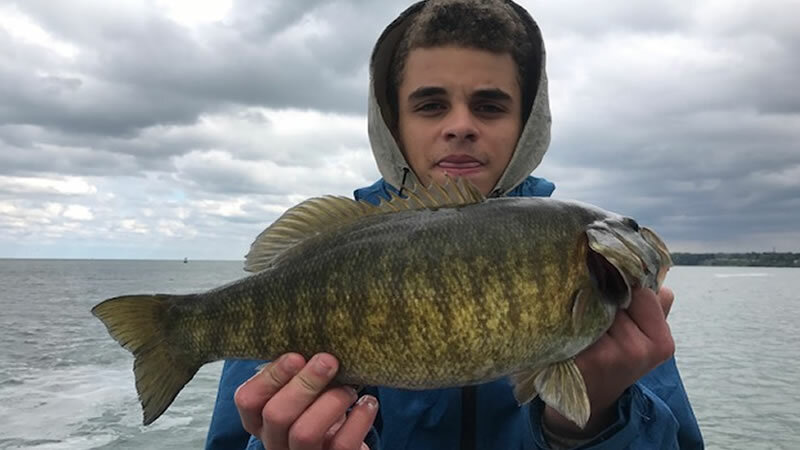 Chartreuse colored spinner bait caught the majority. 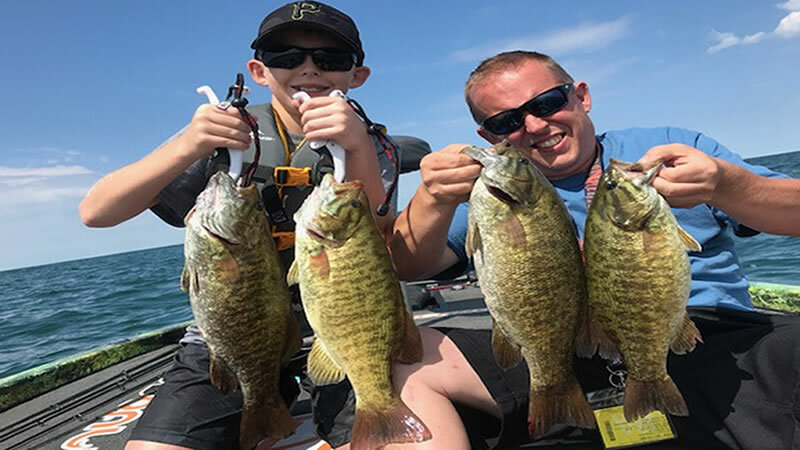 We caught over 50 smallmouth bass scouting water and had a great time doing it. The conditions are perfect with air temperatures from high 70s to low 50s and water temperatures at 68 degrees. It will continue to get good and we are looking forward to more action in the future.